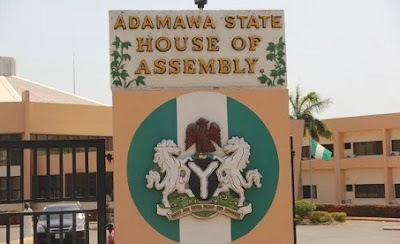 The Adamawa House of Assembly today impeached four of the principal officers, including the Deputy Speaker, Sunday Peter, and the Majority Leader, Musa Mahmud. Others removed were the Deputy Majority Leader, Mutawali Mohammed, and the Minority Leader, Justina Nkom (SDP-Lamurde) State Constituency. The News Agency of Nigeria reports that the Speaker, Kabiru Mijinyawa, presided over the first plenary after the house resumed from a six-week recess. The deputy speaker was immediately replaced by Emmanuel Tsamdu (APC-Madagali) while Hassan Burguma (APC-Hong) was also elected new majority leader. The house elected Abubakar Isa (APC-Shelleng) new deputy majority leader while Lamsumbani Dili (PDP-Demsa) took over as the minority leader.